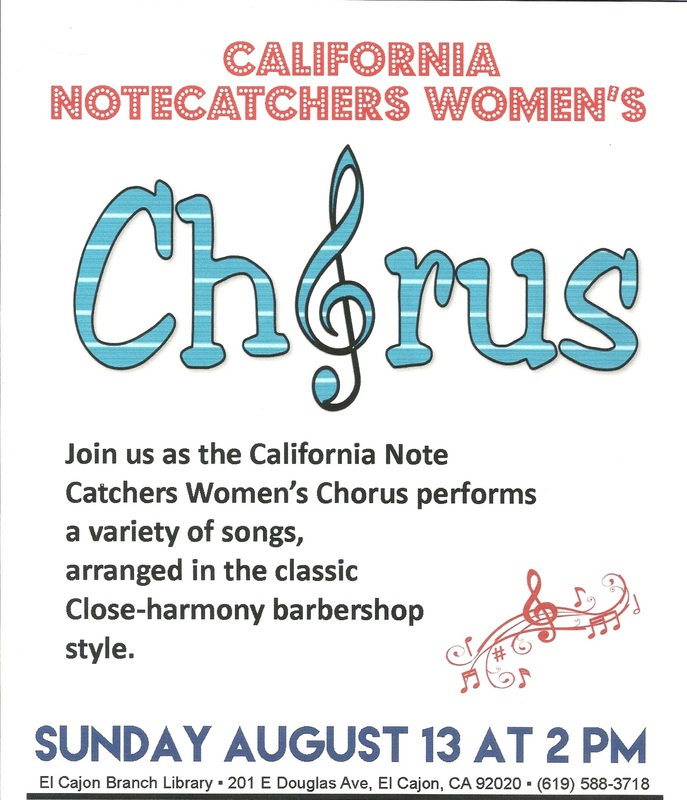 The California Note Catchers is a women’s barbershop harmony chorus based in San Diego County. We are a non-profit organization and are affiliated with the international barbershop organization, Harmony, Incorporated. 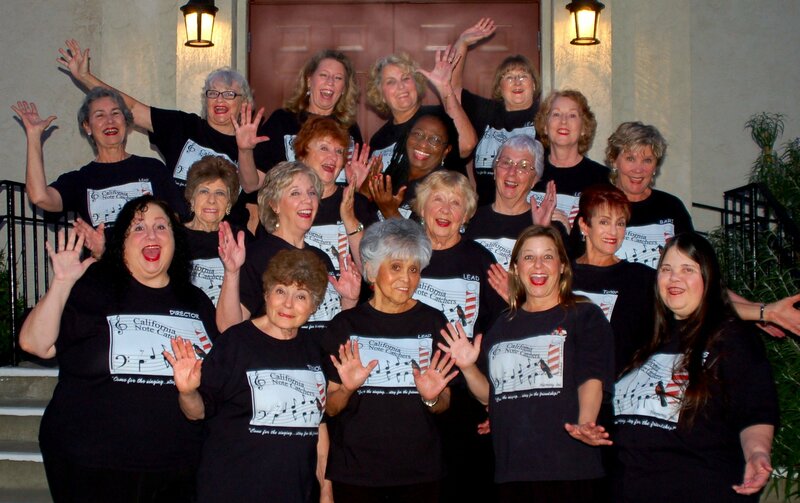 We perform at local and community venues and we work hard to perfect the songs we perform. 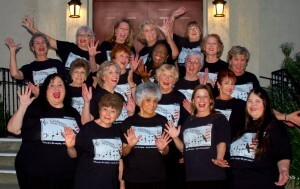 We have fun and our chorus members have made friendships that will last a lifetime. To find out more about us and whether you’d be interested in joining us, see the Visitors section. 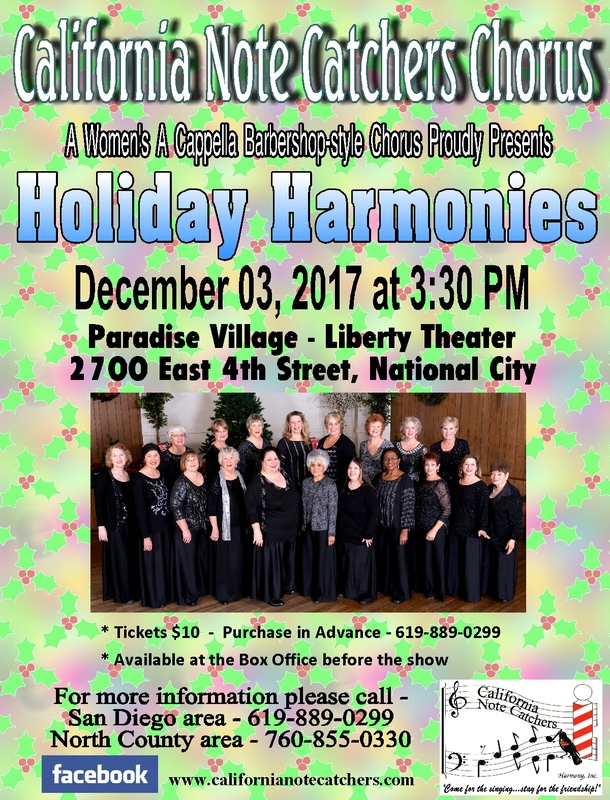 If you’re interested in having us sing at a function, either private or public, please see the Schedule a Performance section. If you’re a current member looking for information about upcoming events and music, visit the Current Members section. If you have a question that doesn’t fit into any of these categories, you may Contact Us for more information.